Comment: I have a basic split level entry home. Water has seeped in from the east wall foundation, under the baseboard and under the vinyl flooring. We tore the floor and baseboard out, but not the wall. 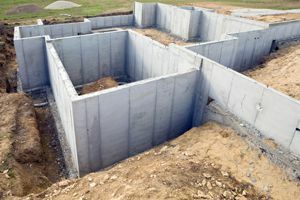 It is a cement floor and foundation. I think the exterior foundation must have a crack. It wasn't much water, but enough to ruin the floor. Thank you. Comment: I would like to get an estimate for concrete foundation repair. Comment: We had water leaking into the basement family room a while ago and had to wet vac the water. The carpet was left stained. We can't see where it came from and hasn't leaked since. Need someone to determine the cause of the problem and propose a fix. Comment: Water seepage through back wall. KY RY Construction & Fabrication, Inc.
Spokane Foundation Contractors are rated 4.74 out of 5 based on 73 reviews of 13 pros. Not Looking for Foundations Contractors in Spokane, WA?